Search Results for "india children"
JODHPUR, INDIA - 13 FEBRUARY 2015: Children and woman in back yard with farm animals in Jodhpur. 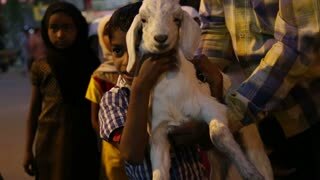 MUMBAI, INDIA - 15 JANUARY 2015: Portrait of children holding baby goat at street in Mumbai. 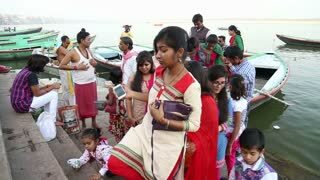 VARANASI, INDIA - 19 FEBRUARY 2015: Children climbing and sliding down the slope at dock of Ganges in Varanasi. 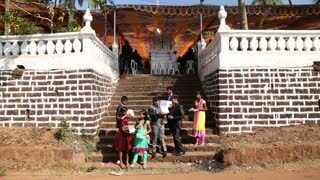 GOA, INDIA - 25 JANUARY 2015: Children in festive outfits standing on stairs and holding boxes. JODHPUR, INDIA - 5 FEBRUARY 2015: Children on the street of Jodhpur in front of their home. 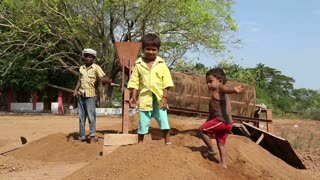 GOA, INDIA - 26 JANUARY 2015: Children running away from a truck arriving at a working site. 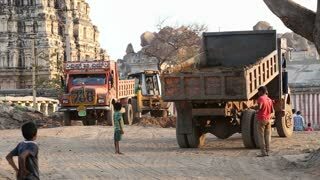 HAMPI, INDIA - 28 JANUARY 2015: Children watching the digger in front of temple Virupaksha. 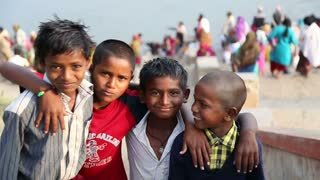 VARANASI, INDIA - 20 FEBRUARY 2015: Children and teenagers coming out of a boat on Ganges in Varanasi. 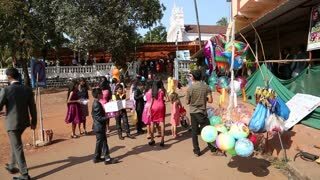 GOA, INDIA - 25 JANUARY 2015: Children in festive outfits holding boxes by a market stand. 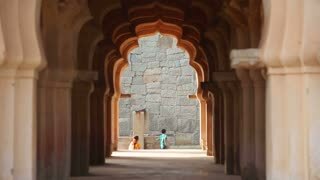 JODHPUR, INDIA - 17 FEBRUARY 2015: Children coming out of a room when still man holding a sign moves. HAMPI, INDIA - 28 JANUARY 2015: Children using hand-hold as a slide on the riverside in Hampi. JODHPUR, INDIA - 13 FEBRUARY 2015: Child walking down the road holding man's hand while vehicles pass. GOA, INDIA - 21 JANUARY 2015: Child holding young chicken. GOA, INDIA - 21 JANUARY 2015: Child holding baby chicken. MUMBAI, INDIA - 12 JANUARY 2015: Indian children at a busy street at sunset in Mumbai. HAMPI, INDIA - 28 JANUARY 2015: Little child picking up dried leaves in a pot on a street in Hampi. JODHPUR, INDIA - 13 FEBRUARY 2015: Group of children standing by the wall in front of a house entrance. 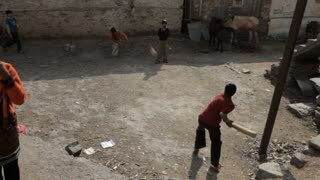 JODHPUR, INDIA - 15 FEBRUARY 2015: Vehicles and children in back yard of house in Jodhpur. 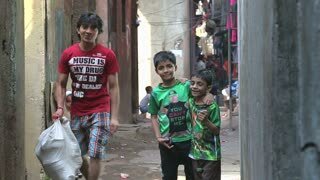 JODHPUR, INDIA - 17 FEBRUARY 2015: Group of children playing and posing in narrow street in Jodhpur. GOA, INDIA - 26 JANUARY 2015: Portrait of children playing while woman and boy work in background. JODHPUR, INDIA - 13 FEBRUARY 2015: Group of children sitting on ground by a wheat field in Jodhpur. GOA, INDIA - 26 JANUARY 2015: Women taking children away from the field working site. 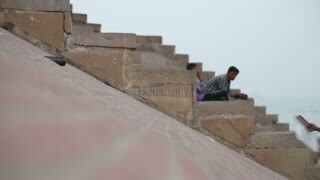 JODHPUR, INDIA - 13 FEBRUARY 2015: Group of children standing at house porch, with boy coming up the stairs. DELHI, INDIA - 4 MARCH 2015: Group of children packing stuff in bag at street in Delhi. VARANASI, INDIA - 20 FEBRUARY 2015: Indian woman and children at market stand in Varanasi in night time. GOA, INDIA - 26 JANUARY 2015: Legs of women and children in soil at field in Goa. HAMPI, INDIA - 28 JANUARY 2015: Woman standing with two small children. HAMPI, INDIA - 28 JANUARY 2015: Local Indian women washing their children at shore in Hampi. HAMPI, INDIA - 28 JANUARY 2015: Indian man working on a truck while children watch.